Posted by Gryphon in Events, Game News, Pokemon Global Link, Pokemon Video Games. Compete in the Circle of Legends Online Competition! | Pokemon.com. Posted by Gryphon in Game News, Pokemon Global Link, Pokemon Video Games, Tournaments. The 2015 International Challenge February Wi-Fi tournament has been announced. There will be no Championship Points awarded to Play! Pokémon players in this tournament. Players may register between midnight UTC on Feb. 19 and 11:59 p.m. UTC on Feb. 26. The tournament will run from midnight UTC on Feb. 27 until 11:59 p.m. UTC on March 1. Players born in 2000 or later will be in the Junior/Senior Division. Players born in 1999 or earlier will be in the Masters Division. Juniors may only play between 6 a.m. and 11 p.m. locally. There will be 50,000 available spots on a first-come first-serve basis. The rankings will be announced on March 6. Players may only use Pokémon Omega Ruby and Alpha Sapphire. 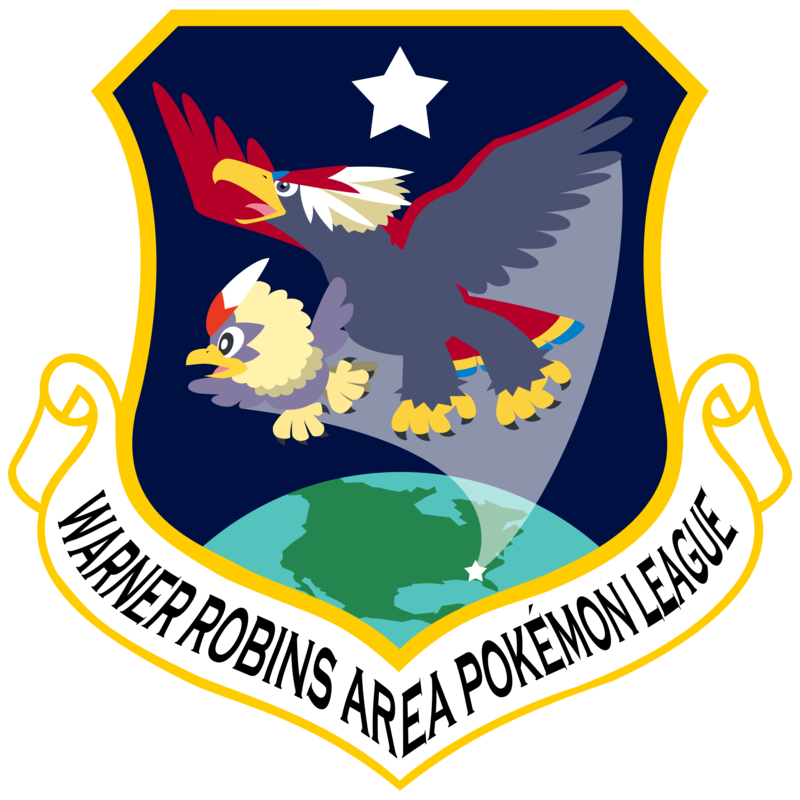 It is a Double Battles tournament, with all Pokémon hatched, caught or received as an event in Pokémon X and Y or Pokémon Omega Ruby and Alpha Sapphire may be used. Pokémon transferred from the Generation V games cannot be used. Mewtwo, Mew, Lugia, Ho-Oh, Celebi, Kyogre, Groudon, Rayquaza, Jirachi, Deoxys, Dialga, Palkia, Giratina, Phione, Manaphy, Darkrai, Shaymin, Arceus, Victini, Reshiram, Zekrom, Kyurem, Keldeo, Meloetta, Genesect, Xerneas, Yveltal, Zygarde, and Diancie cannot be used in this tournament. All Pokémon above level 50 will be auto-set to level 50. Each match will have a time limit of 15 minutes. Players will have 90 seconds choose their four Pokémon. Each turn players will have 45 seconds to switch or use a move. Players may battle 10 times per day for a maximum of 30 battles in the tournament. Posted by Gryphon in Game News, Pokemon News, Pokemon Video Games. 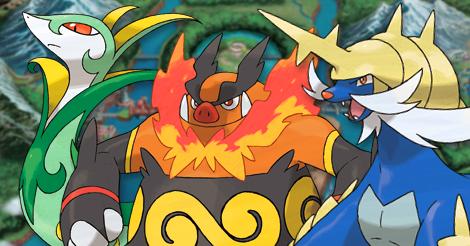 For players with Omega Ruby or Alpha Sapphire versions, the download codes for all three Unova starter final evolutions have been made public. You can claim your pokemon by accessing Mystery Gift through the game’s start menu and choosing Get With Code. Each code can only be used once per game, and will be active until November 30th, 2015. Get a Serperior with Contrary by using the code POKEMON497. Contrary causes moves and abilities that alter Serperior’s stats to have the opposite effect; Leaf Storm will raise its Special Attack instead of lowering it, and being subjected to an opposing pokemon’s Screech will raise its Defense. Also, an opposing pokemon’s Intimidate ability will raise its Attack. When planning a moveset for Contrary Serperior, make sure that you don’t give it any moves that are meant to raise stats (such as Calm Mind) because these moves will lower them instead! Get an Emboar with Reckless by using the code POKEMON500. Reckless raises the base power of moves with recoil damage (excluding Struggle) by 20%. For Emboar, this means that its Flare Blitz, Head Smash, Take Down, and Wild Charge attacks will hit harder. If you want to run a strategy using recoil moves, however, you may need to think about how Emboar can restore its HP in battle, such as by holding a Sitrus Berry or Leftovers, or by using Rest, and holding a Chesto Berry to wake itself up. Get a Samurott with Shell Armor by using the code POKEMON503. Shell Armor simply blocks critical hits on the pokemon with the ability. Though it doesn’t seem like much, it is extremely handy on pokemon that are defensive walls. Pokemon with Shell Armor can use moves to raise their Defense or Special Defense, and never have to worry about other pokemon bypassing their boosted defenses by landing a critical hit. Samurott has no such moves, but you could max out its defensive or HP stats with EV training to give it a bit of staying power, and give it Swords Dance to boost its Attack in battle. Alternatively, there are a number of pokemon (mainly Psychic types, including Defense Forme Deoxys) that can learn both Cosmic Power and Skill Swap, and can gain an advantage by swapping abilities with a Shell Armor Samurott in a double battle. Just be careful that your opponent doesn’t use their own pokemon’s Skill Swap to grab this ability from you! 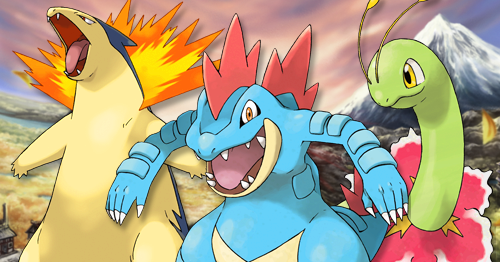 From February 28th to November 30th, Pokemon Bank users will be able to obtain a Meganium, Typhlosion, and Feraligatr with their Hidden Abilities of Leaf Guard, Flash Fire, and Sheer Force, respectively. After connecting with one of their XY/ORAS games via Pokemon Bank, they can access the gifts through Pokemon Link on that game’s start menu. Meganium’s Leaf Guard protects it from being afflicted by Burn, Asleep, Frozen, Paralyzed, or Poisoned (including Badly Poisoned) statuses in sunny weather (brought on by using Sunny Day or activating the Drought or Desolate Land abilities). This also protects it from the effects of the Flame and Toxic Orbs, and nullifies the second-turn effects of Yawn. Typhlosion’s Flash Fire makes it immune to Fire-type moves, and raises the power of its own Fire-type attacks by 1.5x any time it gets hit by one. Take advantage of this by swapping it in when an incoming Fire-type attack is imminent, or use it in Doubles with a partner pokemon that knows Lava Plume. Feraligatr’s Sheer Force raises the base power of any of its moves that have additional affects by 30%, but at the same time, removes those additional effects. However, if Feraligatr is holding a Life Orb when using one of those moves, Sheer Force also removes the recoil damage that it would normally suffer from Life Orb after using the move. Use this to your advantage! * The additional effects are what make this move useful, so you would probablybe better off having your Sheer Force Feraligatr learn a different move with a higher base power. Posted by Gryphon in Game News, Pokemon Global Link, Pokemon Video Games. 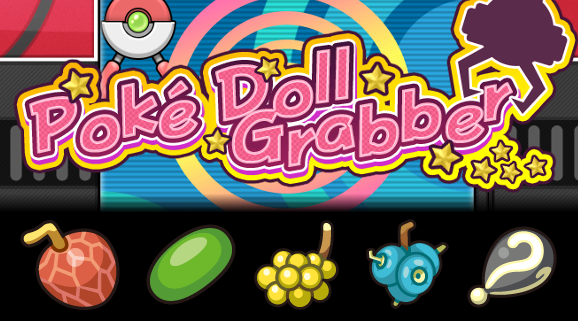 Players who access the Pokemon Global Link can now have a chance at obtaining a Custap, Micle, Jaboca, Rowap, or Enigma Berry for their XY/ORAS games by playing the PokeMileage Club’s new Poke Doll Grabber attraction. This is the first time that the Custap, Micle, Jaboca, and Rowap Berries have been made available to Gen VI games. Each level of play offers a different assortment out of 30 available berries. Getting a high score (getting 5 plushies to the top of the machine without dropping any by hitting an obstacle) gives you a chance at winning a rare berry. Posted by Gryphon in Events, Game News, Game Strategy, Pokemon News, Pokemon Video Games. Games: Pokemon Omega Ruby and Alpha Sapphire versions (cartridge or download). Pokemon: Any pokemon from the National Pokedex (basically meaning any pokemon that has been made available so far), except for the following: Mewtwo, Mew, Lugia, Ho-oh, Celebi, Kyogre, Groudon, Rayquaza, Jirachi, Deoxys, Dialga, Palkia, Giratina, Phione, Manaphy, Darkrai, Shaymin, Arceus, Victini, Reshiram, Zekrom, Kyurem (plus White and Black Kyurem), Keldeo, Meloetta, Genesect, Xerneas, Yveltal, Zygarde, and Diancie. All pokemon on your team must have different National Pokedex numbers (this means that you may not have two or more of the same pokemon, even if they have different formes, like Wash Rotom and Heat Rotom). Mega Evolutions: Permitted. Of course, you can still only perform one Mega Evolution per battle. Items: All items obtainable in Pokemon X, Y, Omega Ruby, or Alpha Sapphire (plus any that you get from the Pokemon Global Link or from special events) are permitted, except for the Soul Dew. Pokemon must all be holding different items, if they are holding any at all. You can read the rules document more in-depth here. Posted by Gryphon in Game News, League News, Pokemon Video Games. Please update your calendars (as we update ours). The season following Yveltal will be Chesnaught! Our LC for Chesnaught has been tentatively scheduled for June. We will post a confirmation once we get a set date. Posted by Gryphon in Events, Game News, Pokemon Global Link, Pokemon Video Games, Tournaments. Play in the Pokémon X and Pokémon Y Beta Competition! | News | Pokemon.com. If you participated in the 2013 Global Showdown and earned a ranking in that competition, you automatically qualify to participate in the new XY beta competition. Check your PGL account to see whether or not you earned a registration slot. If you haven’t, you can request an invitation by following the instructions given in the link. The competition period begins February 21st and lasts through the 24th. You are allowed up to 20 battles per day, but if you don’t meet that quota, any “unplayed” battles are rolled over into the next day (ex. if you only play 15 battles one day, you are allowed 5 extra battles the next day). Format is Doubles with levels auto set to 30. National Pokedex #s 1-718 are allowed, barring Mewtwo, Mew, Lugia, Ho-Oh, Celebi, Kyogre, Groudon, Rayquaza, Jirachi, Deoxys, Dialga, Palkia, Giratina, Phione, Manaphy, Darkrai, Shaymin, Arceus, Victini, Reshiram, Zekrom, Kyurem, Keldeo, Meloetta, Genesect, Xerneas, Yveltal, or Zygarde, and any pokemon brought over through PokeTransporter. Other than that, there don’t appear to be any restrictions on species or item multiples, or on moves.